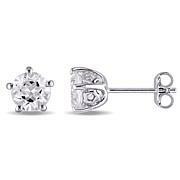 Accessorize your wardrobe with these beautiful stud earrings. 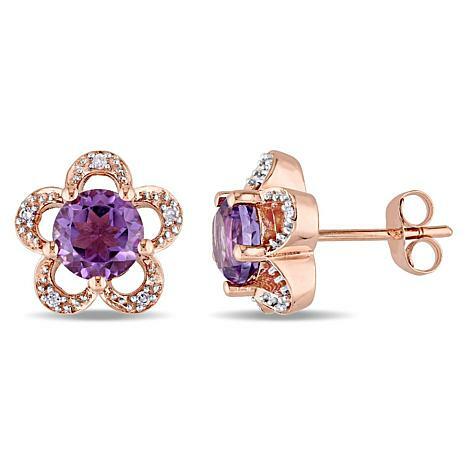 This eye-catching pair feature round-cut amethyst and white diamond accents set in pretty 10K rose gold. 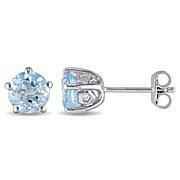 They make a colorful addition to any jewelry collection. 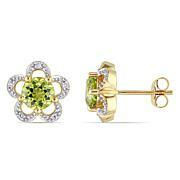 The diamonds in these earrings are graded G-H color (near colorless) and I2-I3 clarity (inclusions are obvious under 10X magnification).